Thank you for your help. Your customer service has been excellent from the beginning. 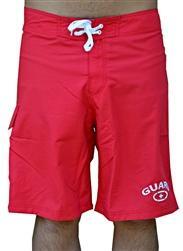 These shorts are lightweight and will keep you cool for those long days at the pool or beach. Keep watch over your duties in style and end your search for fitting and fashionable guard shorts. These shorts are lightweight and will keep you cool for those long days at the pool or beach.